The TRADE > Blog > When will push come to shove? When will push come to shove? 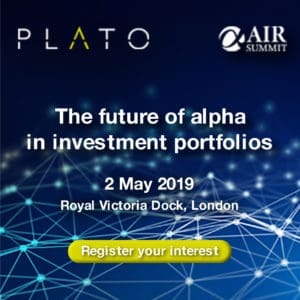 This year was supposed to be the dawn of a new low-cost post-trade era for Europe’s equity markets as various platforms announced the introduction of clearing choice and thus competition. 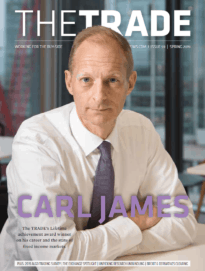 With the region’s largest trading venue BATS Chi-X Europe offering a choice of four clearers since the start of this year, pressure was on rivals, and in particular domestic exchanges, to follow suit. Having a choice of clearers is cited by industry observers as a sure-fire way of reducing trading costs by allowing the consolidation of flow with a single provider, thereby accruing netting benefits. Reducing these types of frictional costs could also provide a much needed stimulus to trading activity in Europe. Other trading venues, namely Turquoise the multilateral trading facility owned by the London Stock Exchange (LSE), Burgundy, retail-focused regulated market Equiduct and dark pool UBS MTF, rose to the challenge. But domestic exchanges have largely remained on the sidelines and some have been accused of delivering mixed messages to their members, fuelling the notion that their resistance only serves to protect their commercial position. Nasdaq OMX, operator of bourses in Sweden, Denmark and Finland, signalled its intention to buck this trend, announcing plans late last year to offer clearing choice in April. But it retracted in May, citing “regulatory uncertainty”, later explained by Nasdaq OMX’s Nordic president Hans-Ole Jochumsen as the potential for contradiction between guidelines presented by the International Organization of Securities Commissions and Committee of Payments and Settlement Systems and interoperability requirements in the European market infrastructure regulation (EMIR). EMIR is mainly recognised as Europe’s blueprint for OTC derivatives reform, but includes the criteria national regulators should use for assessing interoperability requests. Other domestic exchanges, including the London Stock Exchange, NYSE Euronext and Deutsche Börse, are believed to be examining the merits of interoperability, but are yet to make any public announcements on their plans. Many observers believe the bourses will wait until they are forced to open up by regulation. The market is understandably sceptical. If MTFs representing close to 40% of European trading can thrash out safe and secure links between clearers after extensive consultations with regulators, why can’t domestic bourses do the same? Exchanges point to differences between national regulators, and the need to clarify bankruptcy and insolvency laws, which they say have so far been poorly evaluated. If a France-based central counterparty (CCP) is a member of a UK-based CCP as per current practice in interoperability agreements, who’s in charge if the French CCP defaults? To the exchanges’ point, the Dutch regulator, which oversees cash equity CCP EMCF, took three years before agreeing to an interoperability framework with its UK and Swiss counterparts. The result was an agreement for each interoperable CCP to set aside margin against each other, in specific external accounts. If other regulators follow the approach set by the UK, Swiss and Dutch, exchanges believe the cost benefit of interoperability could be lost. In justification of the assertion that interoperability is a complex business, exchanges also point to the fact that, even LCH.Clearnet Group – the clearing house that is close to being taken over by the LSE – does not have an interoperable link between its French and UK businesses, despite the fact that the two have been merged for over five years. These points do support the exchanges’ stance to some extent. Bourses claim to be making preparations to facilitate the addition of new clearers but MTFs have shown that while interoperability is an arduous task there is little need to wait for regulation to be finalised. If national exchanges continue to drag their feet, they could be left behind, risking a further reduction in their market share.